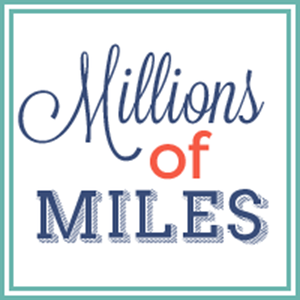 Millions of Miles: I NEED YOUR HELP!!! I talked to our attorney last night about how our adoption is proceeding. We are waiting on the Consulate in DRC to make an appointment to see us face to face. I learned yesterday that the Consulate took the entire month of December off, and is a little back logged and is not really making any effort to schedule us in. So it looks like instead of traveling at the end of this month like we had hoped, we'll be going in early February, if all goes as planned. We are also having a little trouble getting Miles a passport. The DRC recently went digital in creating passports. Woo Hoo for technology. However, in the DRC they only have one machine they use to create these digital passports. And that machine happens to be just about as far away from Miles as is geographically possible. So we are not sure how to get him to the machine. None of our options seem very good or cost effective, so we are all trying to brainstorm. So now your job is to pray, pray, pray that the consulate will man up and make us an appointment, and also that we can figure out a way for Miles to get a passport. We've had absolutely smooth sailing thus far so I suppose that we were due to have a few bumps in the road. Let's just pray that these things remain bumps and don't become mountains. I'd like to be snuggling my little boy in less than 30 days! I intend to use this minor delay to my advantage. Since we may only have approximately 30 days until I travel to Africa, I am beginning to get things in order for the trip. So many of you all have asked me how you can help. So I am going to go out on a limb here and give you the opportunity to help in a very real way. 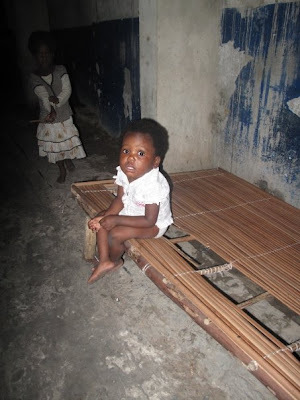 The orphanages that our agency uses need formula and food desperately. There is not a lot of formula available in Congo, and what is available is not always the best at helping the babies gain weight. So our hope is to collect as much formula as we can to take with us to distribute. If you are someone that knows us personally, or goes to church with us- you can help us by donating cans of powdered infant formula. Any kind is fine. Good old American formula really helps these babies get the nourishment they need and helps them gain weight. So that is one way you can help us. Also- if you need me to come and pick up a formula donation from you, please email me and I'll be HAPPY to pick it up! I also know that lots of people who read this blog are friends from all over the US and around the world. You all can really help us, too. I have set up a chip-in meter on the top left. You can click on that to donate money securely to our cause. Every dime of this money will be used to buy rice and beans for the orphanage. Not one penny will be used to cover costs of our adoption. Everything that you donate will go directly to feed the hungry kids in the Congo. If you're like me, you probably don't have a whole lot of extra money rolling around. But every dollar makes a huge difference. The world food program is estimating that right now it cost 23 cents to feed a child for a day. So your dollar will feed four kids for a day. $7 would feed those same 4 kids for a week. If we could raise $750- we could feed 100 kids for an entire month! You guys- we can totally do this!!!! Donate a buck, or 5 bucks or 10 bucks or 50. It all adds up! I am setting a goal of $750, but would love to just blow that out of the water!!! While we get to bring Miles home with us, there are thousands of orphans we'll have to leave behind. I'd love to be able to feed as many of them as you all will help me feed. Please- I am begging you to help. Donate! I'd love to watch that chip-in meter rise at warp speed. I'd love to leave church every Sunday absolutely loaded down with cans of formula. This is YOUR chance to make an impact! And to help jumpstart the fundraising effort, I am going to donate $1 for each of my blog followers. Today there are 44 followers. So that's $44. That feeds 178 kids for a day! You all- I'd love to be able to write a check for $100 by the time I go to Africa. Become a follower and I'll make a donation in your honor! When you click the button to follow this blog (on the left) or by clicking HERE, readers will be able to find their way to this blog from any other blogs you follow. 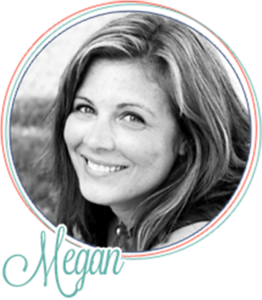 And by finding this blog, they could feel led to help the orphans of the Congo, too. It could generate a whole snowball effect of giving! And that's what it's all about. So please click to become a follower. Please link me on facebook. Please blog about this. If every reader that read this blog everyday donated just $1 and became a follower- we could shatter that $750 goal in about 5 days. But I can't do it without your help. PLEASE! The children in the Congo need YOU! Please give.